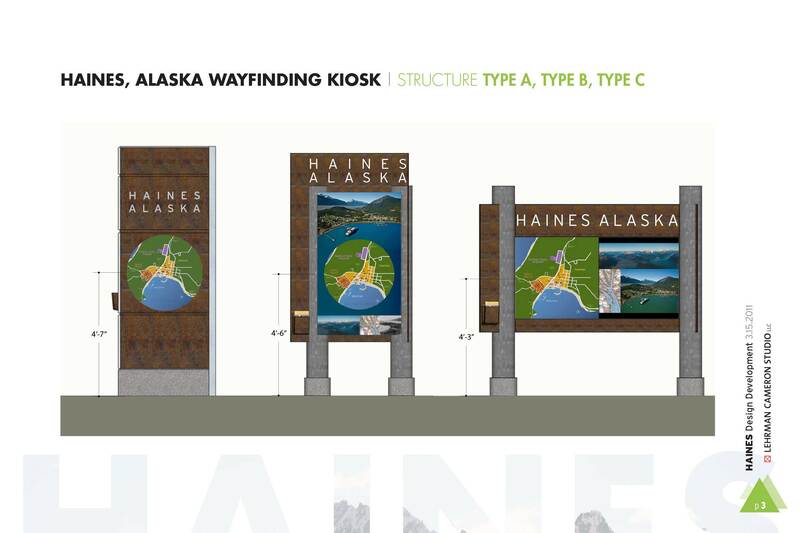 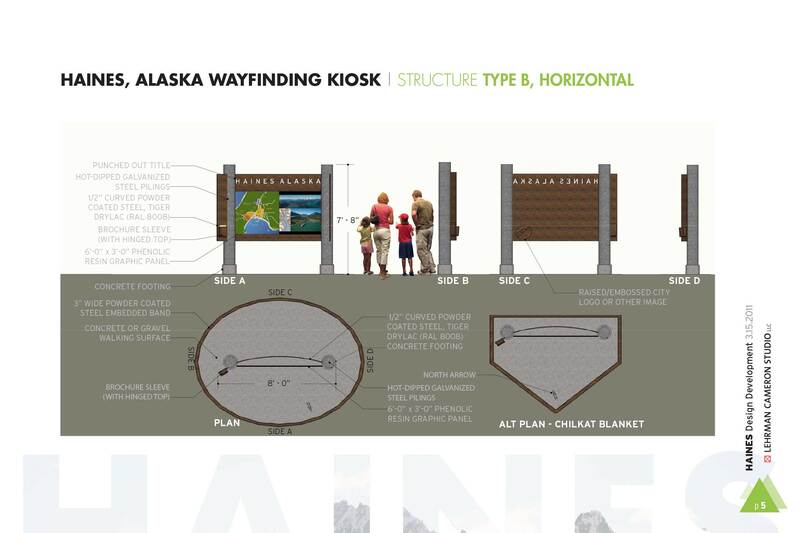 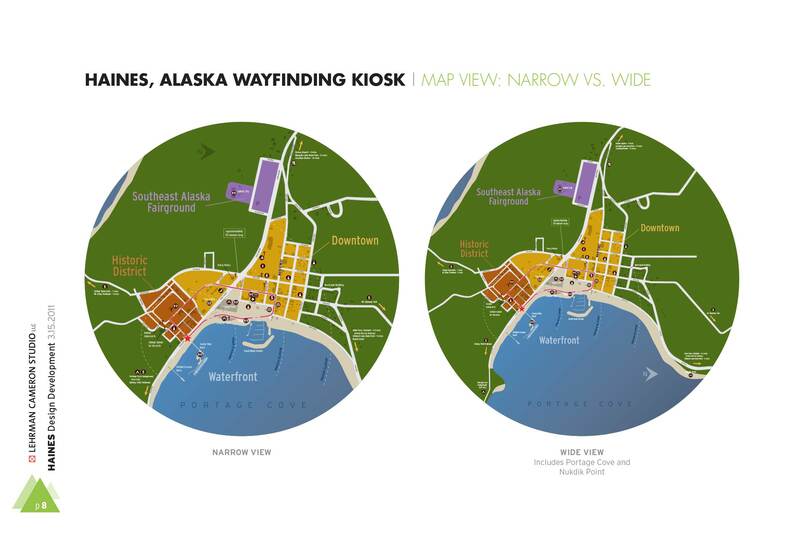 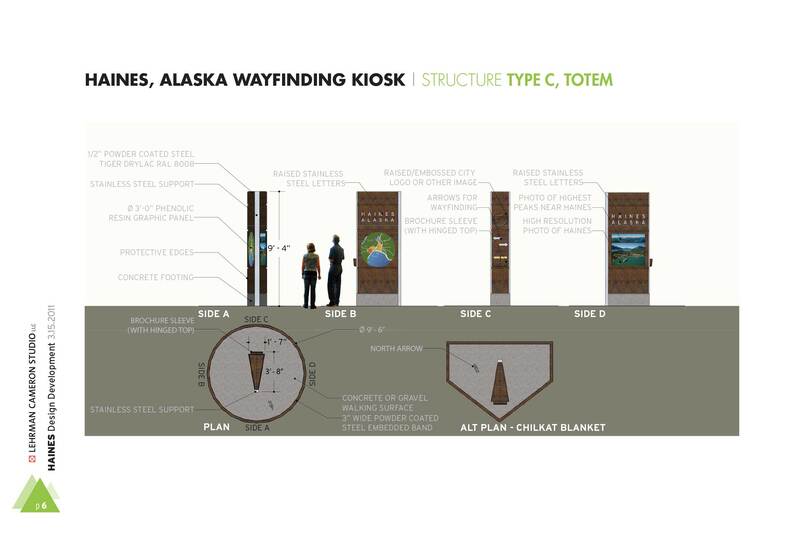 LCS was commissioned to design wayfinding graphics for the city of Haines, Alaska, especially to help cruise ship passengers upon disembarking. 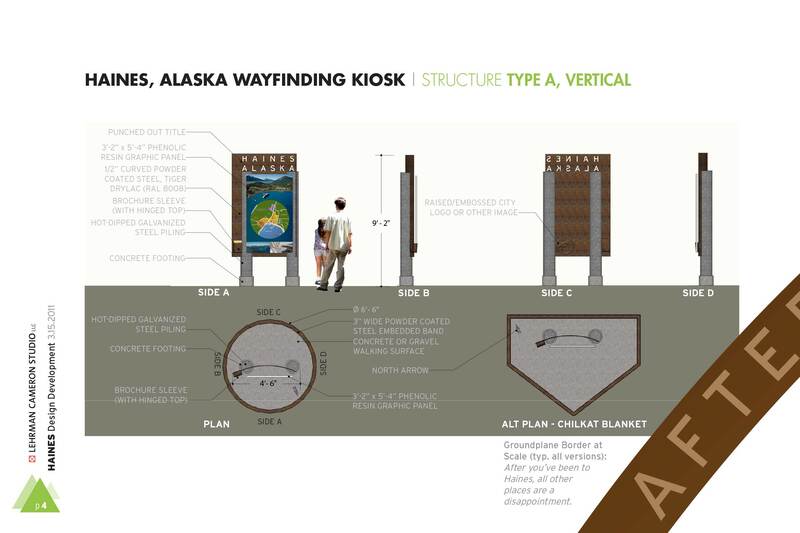 The signs are deliberately slightly overbuilt and the materials are marine industrial, including raw and galvanized steel. 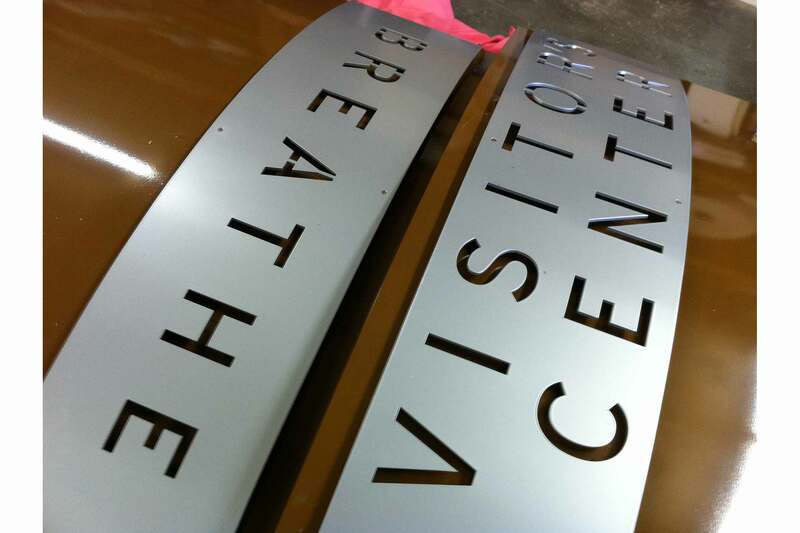 In this phenomenal landscape, Mindy suggested first that visitors BREATHE.